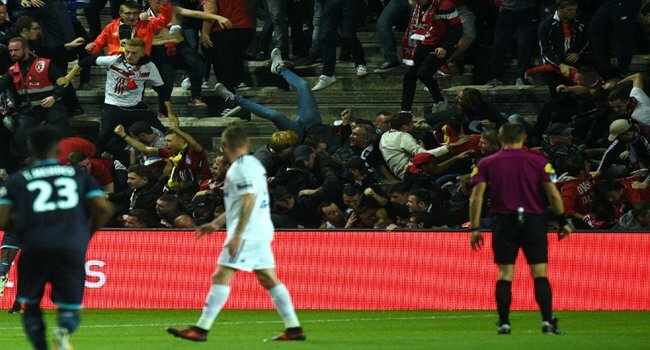 Eighteen Lille fans were hurt, including three seriously, in Amiens on Saturday when a stadium barrier collapsed in the away section as supporters celebrated a goal in a Ligue 1 match. 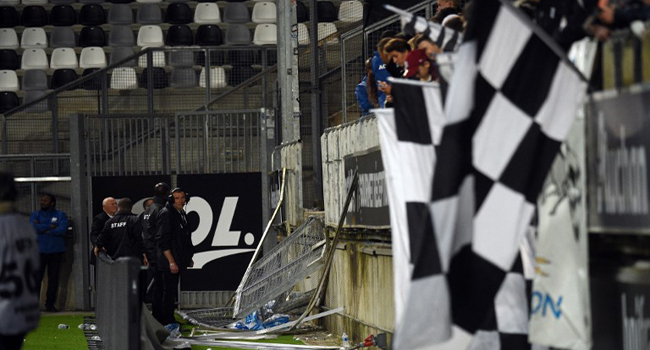 The fixture between Amiens and Lille was interrupted in the 16th minute, and later abandoned, after a fence separating fans from the pitch crumbled under their weight as they celebrated a goal by Fode Ballo-Toure. Several supporters tumbled around 1.5 metres onto the side of the pitch and were crushed by fellow fans before emergency services rushed to the scene.